By 17, David Bray had held three different government positions. At 15, he worked at the Energy Department in the Continuous Electron Beam Accelerator Facility making $10 an hour. After that, he volunteered for the Agriculture Department creating prototypes for an initiative USDA was working on to monitor crop growth. Shortly after, the Walter Reed Army Medical Center recruited him to help modernize its user interface and update its main frames. Following these stints in public service, a 17-year-old Bray was called to his high school’s principal’s office and found himself before four men in suits from the Institute for Defense Analyses. That meeting resulted in Bray joining IDA to develop a prototype for detecting and predicting forest fires from space. All before he had even graduated from high school. 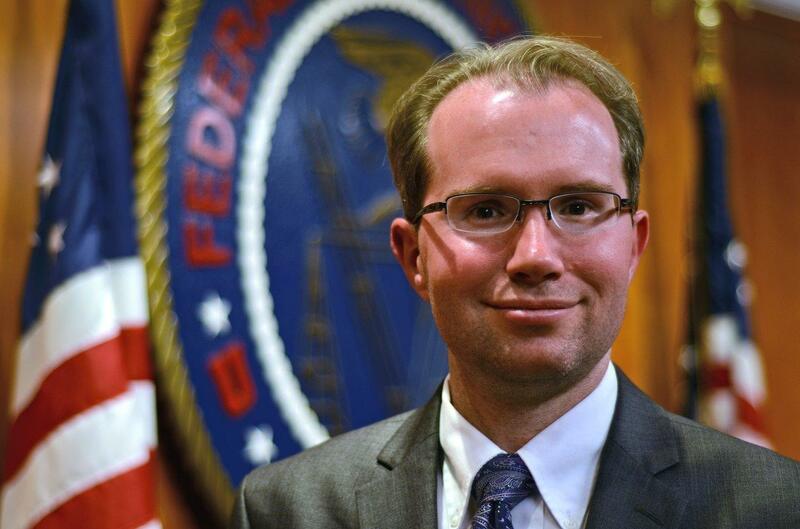 Bray has been in the FCC CIO role for about two months. At 35, he is one of the youngest CIOs across the federal government. After getting his undergraduate degree from Emery University, Bray decided to pursue his master’s degree in public health while working at the Centers for Disease Control and Prevention with the bioterrorism prepare response program. However, as fate would have it, there was a different path for Bray. On Sept. 11, a day before he was supposed to start his master’s program, Bray had a scheduled briefing with the CIA and the FBI to discuss IT use in the event of bioterrorism. Following the terrorist attacks on the same day, Bray and his team’s workload dramatically increased, and they were working 20-hour days out of their van. Bray never made it to his MBA classes that fall. Instead, his role at CDC had him deal with a post-9/11 world, anthrax threats and a deadly West Nile Virus outbreak. At 35, it has been 20 years since he started his government career. Bray did, however, spend some time in the private sector, working at Microsoft; as a special adviser for IDA in Afghanistan; and getting his Ph.D. But government is where Bray’s true passion lies, he says, as no other line of work gives him the same sense of purpose. As CIO, Bray’s first priority has been to get a pulse on the agency and identifying FCC’s top mission needs. Bray leads by embracing an open door policy; he wants people to come and tell him what’s working and what isn’t, and he says he will reward those who give him honest feedback. “If we understand the different workflows that are needed by the unique bureaus and offices at the FCC or any other agency, we can begin to have modular reusable components to cross those workflows,” Bray said. A lesson Bray learned throughout his government career is the difference between leadership and management. At FCC, Bray said he plans to focus on virtual desktops and bring your own device, or BYOD. Empowerment is a concept Bray feels is necessary in the workplace. His extensive work in government has taught Bray the importance of having patience, especially in an organization where change tends to happen at a slower pace. “Seeking to understand before being understood” is a leadership mantra he has embraced.